I think all forum member also wish HK cg industry keep to improve! I also agree with luxoJr. If HK cg production can provide more good suggestion and communication with HK film director! 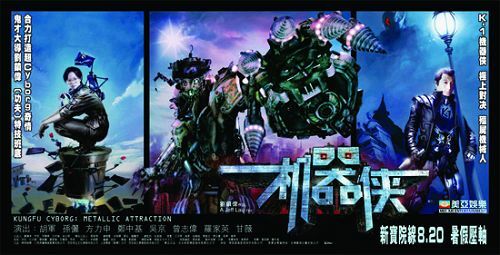 I think HK VFX film will be keep improvement. 拍電影D 人特別"惡"有好多因素, 例如 17年前演藝圈游行果件事; 拍外景好多時系偷雞, 所以時間好緊迫; 天氣又會影響進度... 等等. 拍廣告通常 10-20人左右, 而且唔一定涉及大明星, 有時 delay 左對支出影響唔系太大. 但電影就唔同 lor, 你要多一日拍野, 幾十人開支又大, D 大明星又未必有期, 所以做電影真系好大壓力架!